Toyota is helping Staffordshire Wildlife Trust develop a popular nature reserve with a donation towards setting up a new explorer trail. a programme of small community grants, which supports educational and environmental projects. The trust will be using the money to help install a new visitor trail at Doxey Marshes, a 300-acre area of wet grasslands near Stafford. It will comprise a series of timbered posts fitted with rubbing plaques depicting animals and plant species that can be found on the reserve. The marshes are home to more than 200 bird species and are designated a Site of Special Scientific Interest. "We are thrilled to have received the funding from Toyota to install this new feature, which will improve the enjoyment of countless families when they visit the reserve," said Helen Dale, the Trust's Head of People and Property. 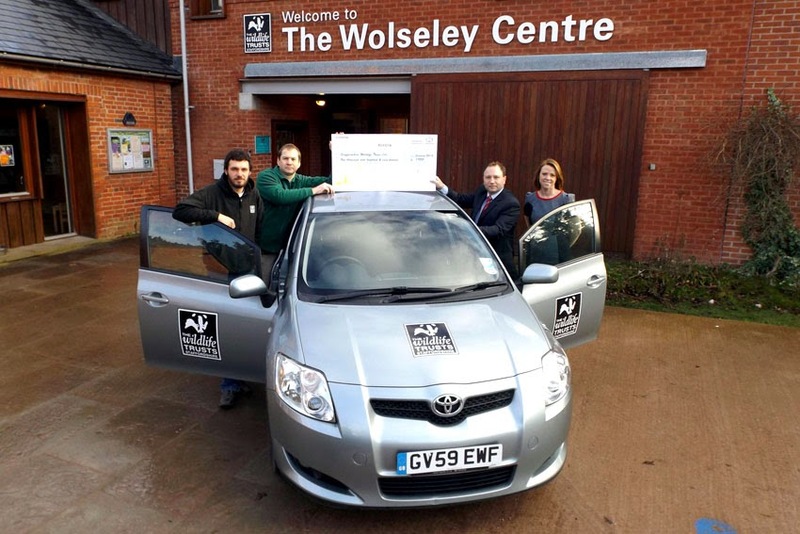 The funding idea was generated by Gary Castledine, Business Centre Manager of W.R. Davies Toyota in Stafford, which has established a community relationship with the trust and has supplied it with fleet vehicles for its conservation workers, including Auris, Yaris and Aygo models. "We admire the work the trust does to conserve wildlife and help people enjoy and learn about the natural world on their doorstep. We're delighted that we have been able to support what they are doing at Doxey Marshes through the fund, which reflects Toyota's reputation as a leading 'green' brand."